I wish you a beautiful Wednesday morning. Who would expect that legendary rock icon Ozzy Osbourne (Black Sabbath) has a secret passion for fashion? Ozzy Osbourne attends a booksigning at Waterstone’s, Bluewater. British singer, songwriter, and actor, Ozzy Osbourne was born in 1948 in Birmingham. Considered the godfather of heavy metal, he comes to the headlines in 1970 with Black Sabbath and then leave the group and pursue a solo career.He’s known for outrageous behavior, the vices, arrests and disturbing performances on stage (see under: eating a bat live). 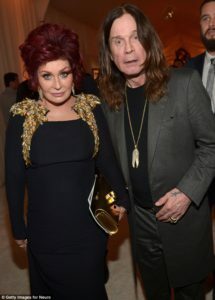 Protagonist with his wife Sharon and their children of the sitcom The Osbournes, Ozzy won, thanks to this series, the Emmy Awards playing himself. Long hair, round glasses like John Lennon (he’s a big fan of the Beatles), Ozzy mandatory colour is black, without distinction of style between day and night. Some examples of the total black look? Slim black coat, printed T-shirts, jeans and sneakers, sunglasses and skull rings. After he got what he wanted he goes home to Mama Osbourne, how he sings in one of his most famous songs. And here’s the bonus track of today. Osbourne’s regular use of alcohol and other drugs led to his dismissal from the band “Black Sabbath” in 1979. 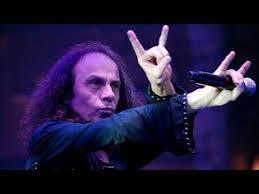 He was replaced by former Rainbow vocalist Ronnie James Dio. He is credited with popularizing the “metal horns” hand gesture in metal culture and was known for his medieval-themed lyrics. I wish you a successful Wednesday and come back very soon with a new story.